To be a bride is one of the most exhilarating yet tough tasks. You are under constant scrutiny and the spotlight is always on you. Apart from the attire of the bride, one of the most awaited things is her entry on the D-day. 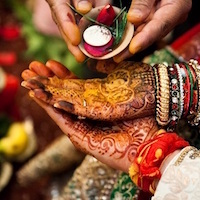 To ease your confusion we bring to you the 10 best ideas for a memorable Indian wedding entry. The simple yet graceful wedding entry. You can never go wrong with this one. Be it flowers, lights or kaleeras you can add your own touch to the chaadar thus the conventional style with a twist.This style looks best with dark surroundings. In the age of modern cars and bikes, the tradition of Paalki has been forgotten. But you can enter like a queen by reviving this tradition. For girls who always wanted to be a princess, why not experience it once. Why should boys have all the fun? If the groom can enter on a horse why should the bride stay behind? A horse drawn carriage is the perfect solution for this. So sit back and enjoy the ride. 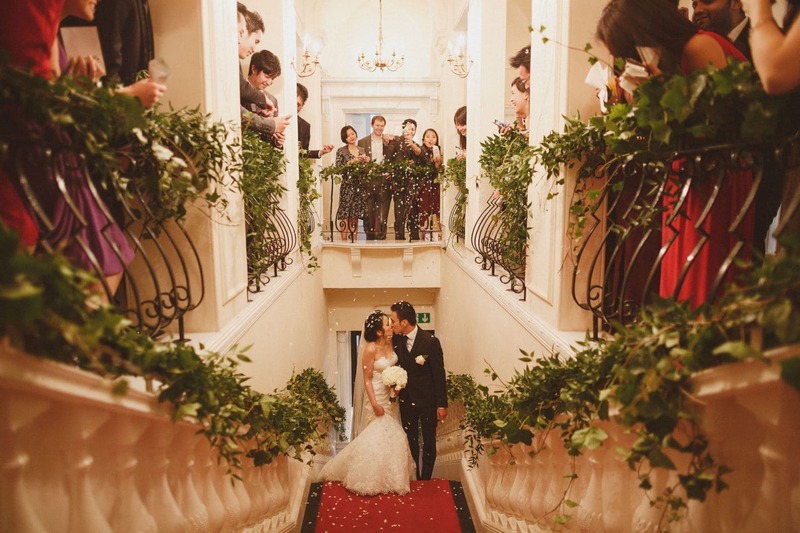 The days of shy brides with huge ghoongats and lowered eyes have long gone. Nowadays brides prefer to make an entry with swag and what better way than on a bike. Either your brother can drive the bike while you sit at the back or you yourself can ride it there. Now that will surely make heads turn. Your brother or cousin driving a rickshaw while you sit at the back and dance makes for a rocking Indian wedding entry. Enjoy the jaw dropping reactions. For the cuteness factor make your niece or nephew announce your entry with a placard. Make the placards cute or hilarious as you want it to be. Also, your niece can act like a flower girl spraying petals as you walk in. Everyone has seen a staircase entry in one or the other movie. 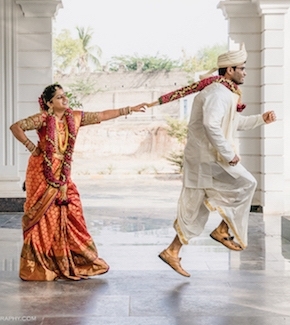 So, why not add this touch of drama to your wedding entry. As you descend down the stairs everyone will be able to see you and help you in flaunting the dress you spent so much on. Make your siblings, friends, and cousins hold sparkles or phooljhadis as you enter the wedding. As soon as the sparkles light up it will make the ambience astounding and the celebrations even better. Why not make your special moment even more special by having your father beside you as you make your Indian wedding entry. An emotional moment when one important man in your life hands you over to another important man. Young pandits chant in unison as you make your entry. The resounding mantras will create an effect dimming all the other noise. 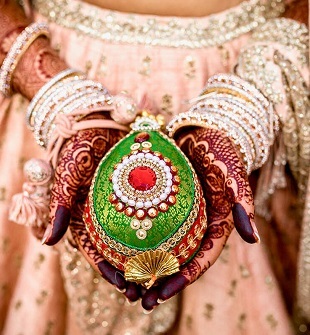 This creates an auspicious and holy aura perfect for the wedding atmosphere. Use these ideas to make a wedding entry everyone will remember. Like, comment and share if you liked the article and stay tuned on wedamor to know more about making your wedding an even grander affair.